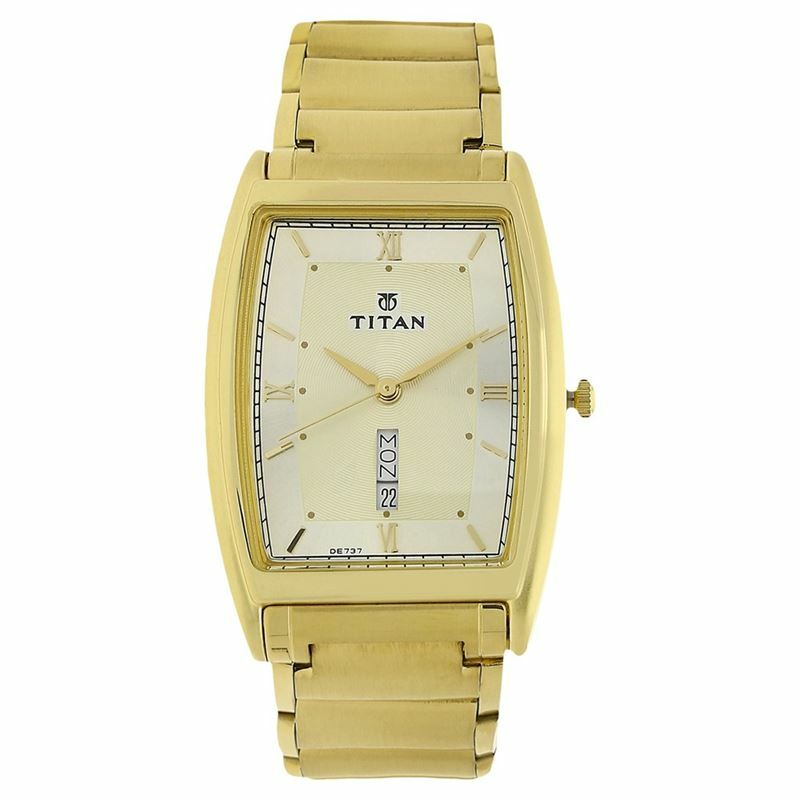 This analog watch for men feature a champagne tonneau-shaped dial, housed within a brass case. The dial has a day and date display above the six o'clock position. Further, three plain hands and Roman numerals at the quarter intervals make time reading an ease. Made of metal, its gold strap comes with sliding clasp.